Senior Journalist, Editor of 'Super Hit' Paper, Producer B.A.Raju is celebrating his birthday today (January 7th). 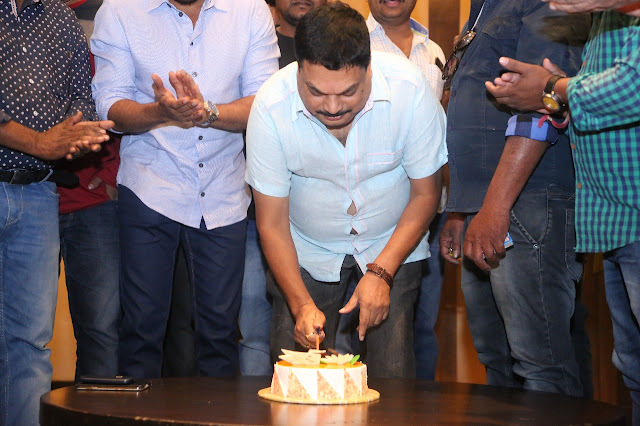 On this occasion, B.A.Raju celebrated his birthday by cutting cake in his birthday celebrations with journalists from media. 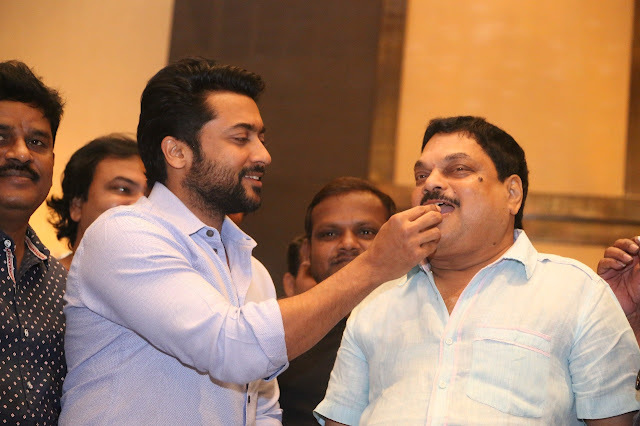 Hero Suriya who also attended this event conveyed his wishes to B.A.Raju. 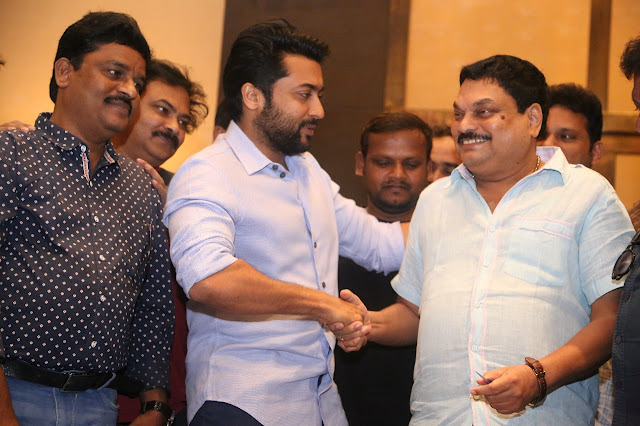 Speaking about B.A.Raju l, Hero Suriya says, " Me and My family share a very good relation with B.A.Raju garu from a long time. He has a lot of experience, grip in promoting movies. He always support my films and shares his valuable suggestions. He is a man of good heart. I am very happy to be a part of his birthday celebrations with other journalists. I wish him to celbrate many more birthdays like this with health and happiness."